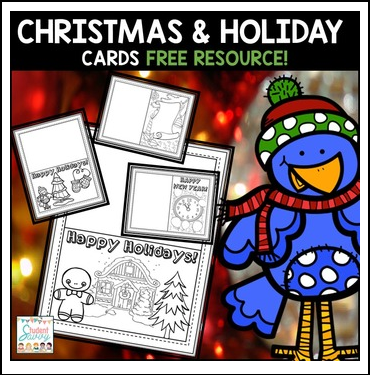 Christmas Free - Christmas Cards Freebie! Students will enjoy these four creative templates to create Christmas and holiday cards for friends and family! 4 Holiday Card Templates - and they are all FREE!